International Women’s Day sites, IWD “is a global day celebrating the social, economic, cultural and political achievements of women. The day also marks a call to action for accelerating gender parity. IWD has been observed since the early 1900’s”. In the period between the wars in particular, Australian women artists were leading the way by challenging traditions and exploring new ideas in art with a focus on colour, form and design, and subjects such as urban culture. Role models like Jane Price, Jane Sutherland and Clara Southern had provided women with a basis to seriously pursue art as a profession. Circumstances and opportunity saw a flourishing of female artists establish a career through dedicated studies at a growing number of art schools, combined with travel overseas and, quite often, financial independence. 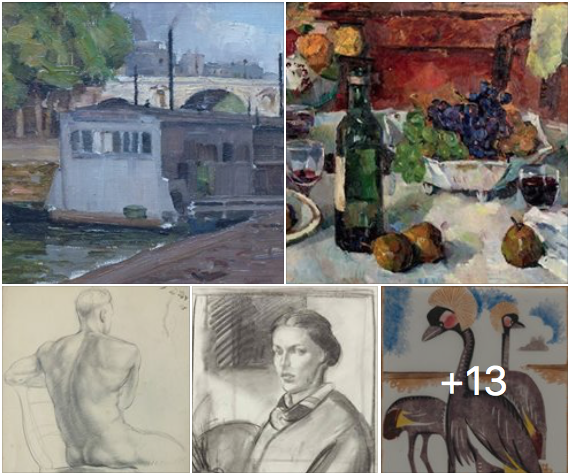 It doesn’t stop there, view the images on our latest Facebook post of the Gallery’s contemporary women artists who have also made exceptional achievements.